Today me, my son and grand-daughter went on the hunt for a geocache at a local park. 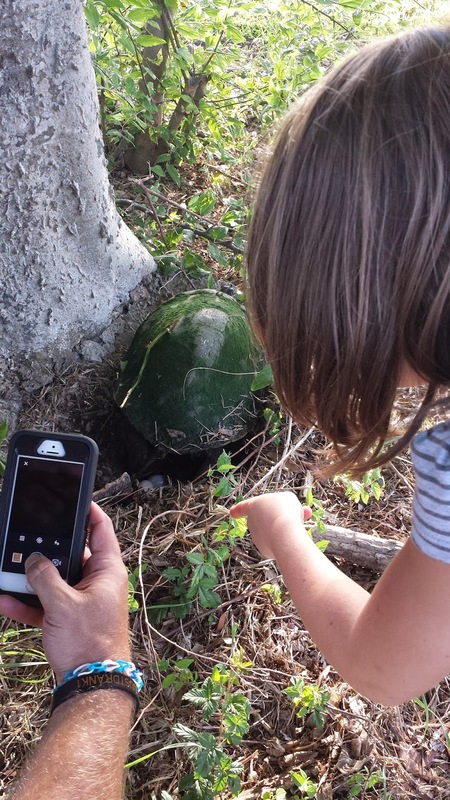 While searching for our "treasure" we came across a large red-eared slider at the base of a hackberry tree. The park we were at contains a pond which is where the turtle had originated from. 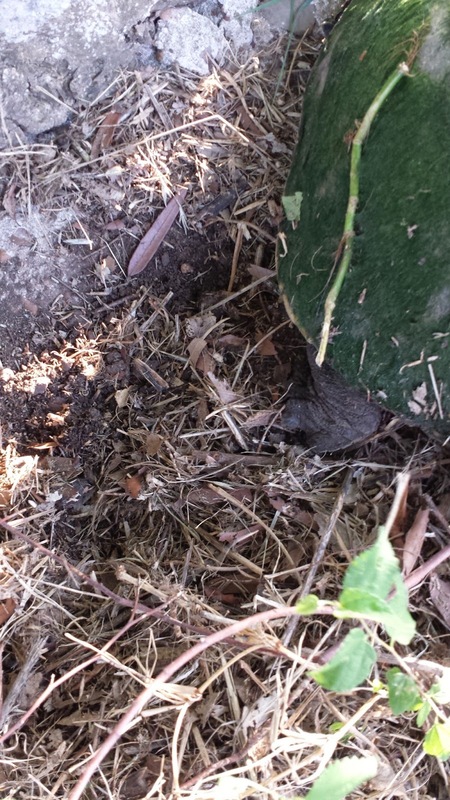 It appeared that the turtle had begun digging a hole. The first thing that came to mind was that it was about to lay eggs. 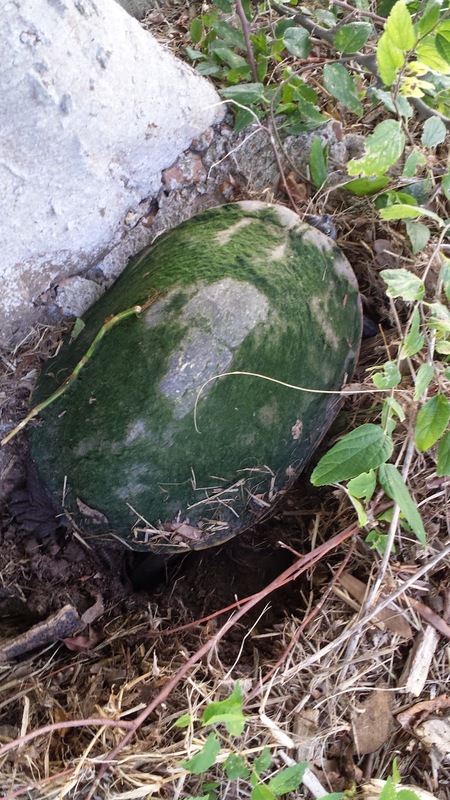 With finding the geocache on our minds we went on leaving the turtle undisturbed. A short time later we walked passed the turtle again so my grand-daughter ran over to check on it. The next thing I hear is the sweet voice of my grand-daughter hollering "Paw Paw.......it's laying eggs!". Sure enough in the hole was about three eggs. While we were watching she laid another. When she finally finished her motherly duties she scraped the soil and covered her future progeny. 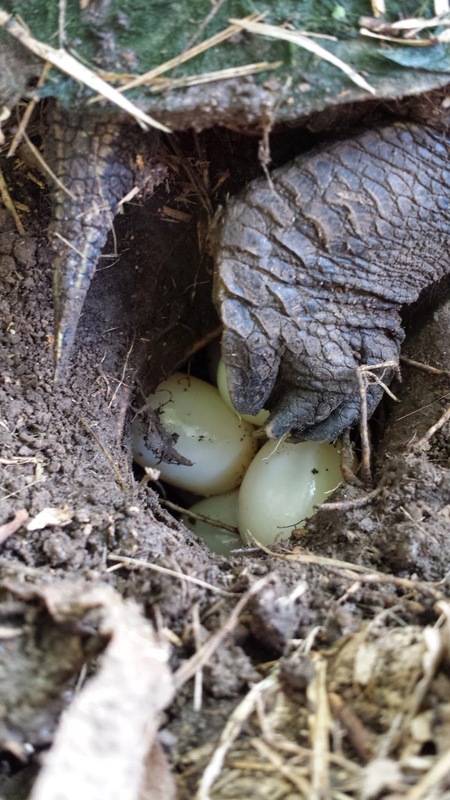 Depending on temperature, humidity, and other factors it usually takes anywhere from 45-90 days for turtle eggs to hatch. It would be great if we could time it just right to be able to see the baby turtles emerge from the nest. I plan on bringing her back starting in about 6 weeks, with regular checks afterwards in hopes of being able to observe this. Hopefully a predator such as an opossum will not discover the eggs. What a wonderful experience for my grand-daughter to witness.